The internationally-reknowned Swedish sculptor Carl Milles produced his Triton fountain in 1916, purchased by Prince Eugen for use in his Stockholm residence. It was, however, the strongly architectural and powerfully geometric cast-iron base of this fountain that was to provide an inspiration to a new generation of designers, and served to underline the growing intimacy between art community and applied arts industries. 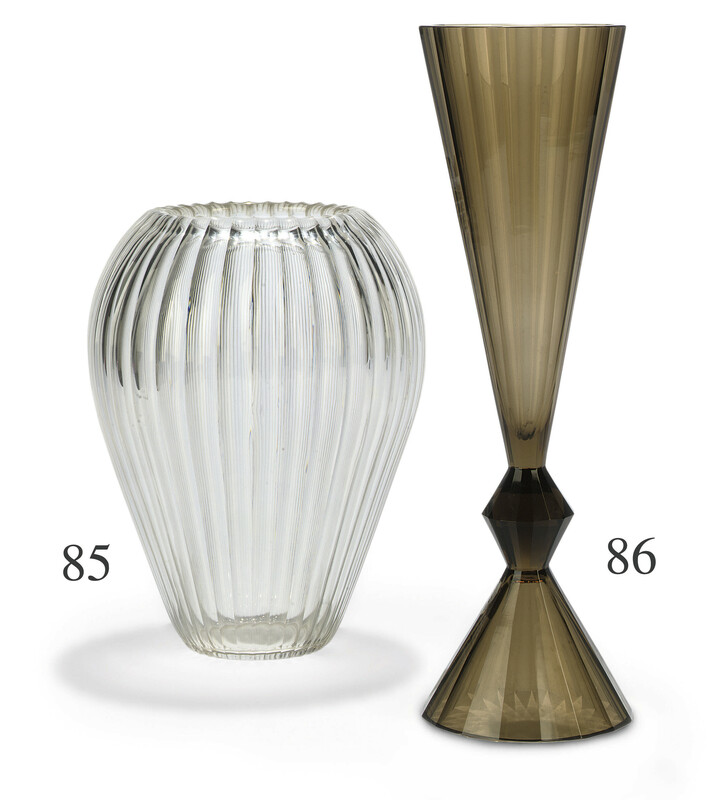 Within months of a January 1917 review of the fountain, Gate had produced a series of glass vases that translated the iron base of the fountain to the new medium. Strikingly modern for 1917, and prescient for their anticipation of 1930s Modernism, Gate's 'Triton' vases were deceptively complex to execute, requiring absolute precision to render uniformity to the carved panelling.